Are you looking for ways to reduce your safety incident costs, raise employee engagement and increase your bottom line? Download this Complimentary Guide and discover the 10 Elements of Safety Awareness that will help you create a Culture of Safety in your organization. Request your 10 Elements of Safety Awareness Wall Chart now by filling out the form on this page. 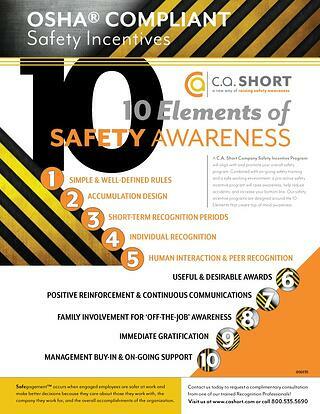 Request Our 10 Essential Elements Of Safety Awareness Wall Chart!